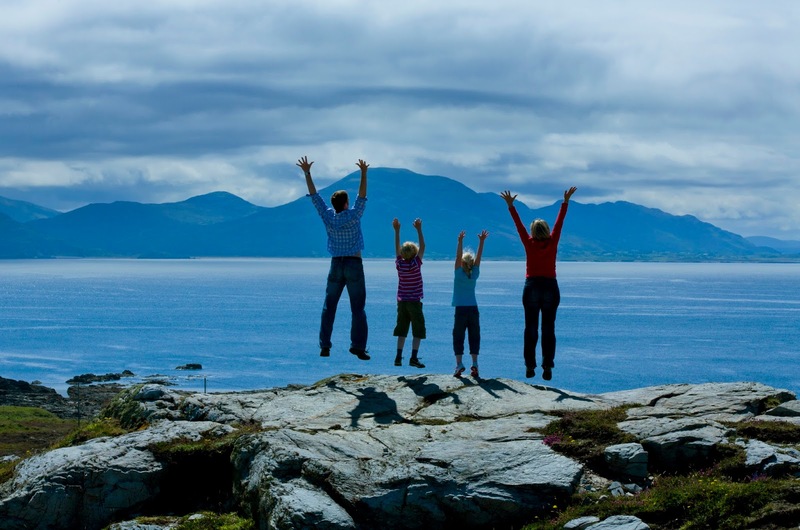 Since the launch of the “Wild Atlantic Way”, a major tourism initiative for the western seaboard in March 2014, interest in the long distance route has superseded expectations of the service providers and visitors alike. Tourist Offices such as Buncrana, here in Inishowen have seen a dramatic increase in visitor numbers during 2014, and furthermore during the first half of 2015. Inishowen Tourist Office has had a 34% increase in footfall in comparison to the same period in the previous year. The Donegal section of the Wild Atlantic Way showcases 1,100 kilometres of coastline, and boasts the most Blue Flag beaches, a total of 13. Bundoran, Rossnowlagh, Murvagh/Laghy, Fintra/Killybegs, Naran/Portnoo, Carrickfinn/Anagary, Killahoey/Dunfanaghy, Downings/Rosguill Peninsula, Magherwarden/Portsalon, Fanad, Lisfannon/Fahan, Shroove, Culdaff. Donegal has been described in Failte Ireland literature as “Untouched, off the radar and crying out for exploration”. Locals resonate that in terms of tourism, improvements in infrastructure as a gateway to the North “we are the forgotten county”. However, the WAW new route has finally highlighted an opportunity to discover the beauty of this county driving through some of the most picturesque areas in Ireland. It encapsulates rugged and remote iconic sights, in a region that is rich in archaeological content, steeped cultural tradition, expressed through music and language that expands the mind, body, and soul in Donegal. The new route aims to create a corridor along the Atlantic coast which will link destinations and attractions together, creating a shopping isle of experiences, and opening up access and possibilities for the visitor. As Donegal is one of the largest of Ireland’s counties, service providers are encouraged to learn more about what is on offer in other areas to encourage dwell time around the county in general. What better way than to visit these and pass on the knowledge to the visitor; this enhances their experience, and in turn enables the customer tailoring their journey to the places, people, and attractions that interest them specifically. 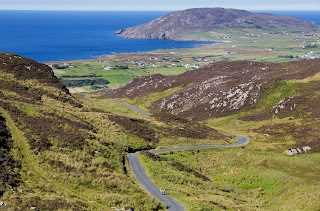 Failte Ireland is working with Donegal County Council further developing the Wild Atlantic Way locally.The route takes in the entire coastline of County Donegal and will be a magnificent showcase for the county. 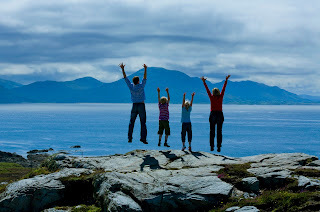 Local signature points en route include Sliabh Liag, Fanad Lighthouse, and Malin Head. We start a journey hosted by our local representatives from Failte Ireland to explore the regions centred on the 3 signature points in Donegal starting with a trip around Buncrana in the Inishowen Peninsula. This is an opportunity to share “what to see and do” when you stay in Inishowen. The first day trip starts in Inishowen, and takes in Signature point one of the Wild Atlantic Way located at Malin Head. For the purposes of a convenient meeting point to start a day trip in the peninsula, the Inishowen Gateway Hotel, Buncrana was the designated point for the group of participants to convene; listening to the local representative from Failte Ireland giving an overview of the benefits of the Wild Atlantic Way to the tourist industry and Ireland in general terms. As the journey starts in the morning, the first port of call is what Failte Ireland term as a Discovery Point (distinct sites, large and small, each chosen for their potential to offer visitors an authentic and intimate experience of the natural, wild landscape, and seascape), Lisfannon Beach en route to Fahan. This is the first of our three Blue Flag beaches in Inishowen and it is accessible via the R238, through relatively flat landscape with clear continual views to Lough Swilly and distant headlands. This is a sandy beach on the shores of Lough Swilly. The location is a Natural Heritage Area (NHA), an important wetlands site for birds. Fahan Wood within 1km of the beach is classified as being of regional importance noted for Oak, Hazel and Rowan. Lisfannon is a major recreational beach for locals and particularly for day-trippers from Derry City in Northern Ireland. During bathing season, the beach is patrolled by lifeguards. Access is on foot through low dunes from the car park. From the sands there are excellent views to the nearby Inch Island and to Rathmullan across the Lough. Driving south through the village of Fahan, on the R238 on the left hand side, attention is drawn to the history of the area including the church at Fahan, where the St Mura’s Cross stands. Mura was Fahan’s (Fathain) first abbot, of whom little is known. The 7th century cross stone in the churchyard is remarkable for its artistry, particularly the fine interlace of the “Tree of Life” motif. Fahan is likely to have been a major monastic foundation; its precise whereabouts can only be presumed to have been in the vicinity of the 19th century church. Agnes Jones grave is also situated here in the churchyard; a nursing colleague of Florence Nightingale who died in 1868. As the tour proceeds to Moville through Burnfoot and Muff and along the Foyle, the beautiful day presents picturesque views; sun glimmers across still waters, reflecting a calm and peaceful retreat from city life and a normal working daily routine. 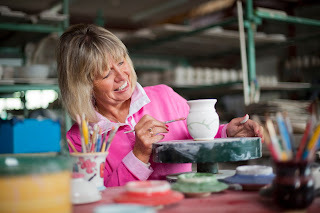 Moville Pottery has been manufacturing fine hand thrown stoneware pottery for over 38 years. Founded in 1976 by renowned designer and hand thrower Lowry Wasson, the pottery studio is located overlooking the picturesque and historic town of Moville, in the heart of Inishowen, Co Donegal. As well as selling their own pottery items, displayed in the gift shop, a range of Donegal and Irish made goods, including clothing, artworks, lamps, candles and soaps are on offer. Specialised personalised mugs are created on request; famous actors such as Johnny Depp, Marlon Brando, and Sir Derek Jacobi are among those to order their wares. The group were treated to a demonstration by Brian, firstly passing the clay through a pug mill which helps to get rid of air & lumps. The clay is then formed into individual balls & hand thrown, on the potter's wheel, moulding the required shapes. The pots then need to dry for a day or two; after which they are put back on the wheel as a the foot ring is turned on to the base. Once the pots have been dried any additions can be applied, such as handles. These are then air dried for a number of days, and then given their first firing to 1000 degrees centigrade. After the first or 'bisque' firing the pots are back stamped and a film of wax is applied to the base. The pots are hand glazed at this point and decorated. The last stage is for the pots to be packed into the kiln for their second or 'gloss' firing. The kiln takes 14 hours to reach the final temperature of 1220 degrees centigrade. The pots have then to be very carefully cooled before being unpacked from the kiln ready to despatch to the customer. Moving on to Greencastle, Magilligan Point View guards the mouth of Lough Foyle and is home to Lough Foyle Ferry and Martello Tower. This short ferry journey provides the opportunity for visitors to explore the Causeway Coast and subject to time of year and conditions view the dolphins around the shoreline. The Maritime Museum is just a short walk from the terminal area. Welcome light refreshments are taken in the tea room, with a browse around the nautical gift shop or tackle shop catering for all fishing enthusiasts. A guided tour from a representative informed the group on the collection of artefacts, exhibitions and maritime memorabilia. The Maritime Museum introduces the visitor to the riches of local traditions, cultural and proud maritime heritage. Beside the museum is the Inishowen Maritime Memorial, recording the names and dates of those lost at sea from Inishowen. Leaving Greencastle approximately 4km, there is a small fishing village; this is another Discovery Point on the WAW, Magilligan Point View. This location provides panoramic views to Magilligan Point adjacent coastline and surrounding hillside. Climbing out to Inishowen Head (Discovery Point) via Stroove Lighthouse, the location boasts a vantage point, revealing coastal views of Lough Foyle across to Magilligan Point. On a clear day, it provides panoramic scenes from an alternative perspective across to Magilligan, Benone Beach and Castlerock. Also from this area, the second Blue Flag beach is accessed; a lovely sandy beach with picnic tables, perfectly placed in relation to Shroove Lighthouse and just a short distance from the Inishowen Head Loop Walk. The Loop Walk is a popular frequented route for the avid explorer and keen walking enthusiast. Following the WAW route from Moville to Culdaff, the tour turns off to Kinnagoe Bay. A jewel in the crown of “hidden gems” of Inishowen is the Discovery point at Kinnagoe Bay. In terms of the “wow factor” this location has it all, where the La Trinidad Valencera Spanish Armed Transporter shipwreck lies just off the shore. It was in 1970/71 that divers found this shipwreck, a 1,100 ton wooden ship that limped to shore after a storm and sank on September 14th, 1588. Many artefacts have been recovered from this vessel and can be seen in the Tower Museum in Derry. This small stretch of beach enclosed and backed by a steeply sloping hillside almost replicates a tropical micro environment that is sheltered from a hillside covered with low growing mature coastal vegetation. This is a beautiful scenic area, with its aquatic blue waters and golden sand with an abundance of caves. Kinnagoe Bay brings to mind a landing bay fit for a scene shot from the famous Johnny Depp “Pirates of the Caribbean” movie. Situated further along the east coast, a local in the area from “Go Fish” meets the group. There is a chance to catch your own Inishowen Fresh Fish from Culdaff Beach. 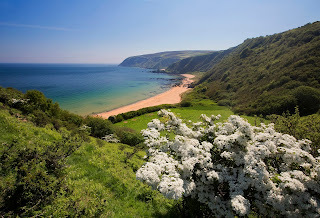 Culdaff Beach (Discovery Point) is one of the blue flag beaches in Inishowen that is accessed through a very picturesque village. There are two fine stone bridges and a triangular green featuring a now disused pump house. Situated on a pretty estuary, Culdaff Beach is a long stretch of sand accessed on foot through a dune landscape, dominated to the west by a rocky headland. The beach strand is broken up by several rocky outcrops, where families can sit and enjoy the scenery while the children play in the adventure park provided adjacent to the car park. The next stop is Signature Discovery Point, Malin Head. Malin Head is Ireland’s most Northerly point, famously caught on camera during the vast array of Northern Lights displays in recent years. Crown. The tall derelict building known locally as “The Tower” was built in 1908 by the Admiralty, and later used as a Lloyds Signal Station. During the Second World War, the small huts were built and used by the defence forces to keep a lookout and protect our neutrality. The station and was a very important news link between America and Europe before modern day equipment made it redundant. Looking out over the Atlantic Ocean, it is important to reflect a while where so many of our inhabitants took long and arduous sailings to distant shores, seeking a better life. 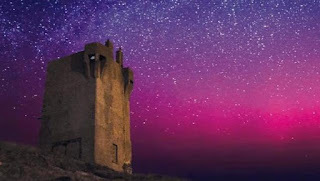 In times gone by, periods of hardship here in Ireland propelled those people to leave the Emerald Isle.This area boasts an array of historical, scientific and ecological importance set in a backdrop of scenic beauty. The circuit of the “Head” takes you round the coast to a perfect starting point for a ramble along the cliffs to Hell’s Hole, a remarkable subterranean cavern 250 feet and 8 feet wide, into which the tide rushes with great force. Nearby is a natural arch called Devils Bridge. A timely place to stop for lunch at the Tower presented itself, amongst visitors admiring the views. Descending from Malin Head heading along the road via Lagg beach we passed St Mary’s Church, which is one of the oldest Catholic Churches in Ireland dating back to 1784 and still in use today. Doagh Famine Village provides the next pause, Inishowen’s very popular tourist attraction.Doagh Famine Village Visitor Centre traces the changing times in Ireland from the 1800’s to the present day. It tells the story of a family and community living on the edge and surviving from the Famine of the 1840’s. Remoteness, isolation, and reliance on small plots of land made the area a harsh place to live, yet the same families have lived here for generations. This facility allows the visitor to learn how these people adapted and survived. A designated Guide gives in depth information with visual aids as the interactive session takes you on a tour of the village. Proceeding south situated close to the Ballyliffen Lodge & Spa Hotel, Pollan Bay, (Discovery point) or Pollan Strand, is a two mile long sandy beach at the foot of the hill leading to the village of Ballyliffin. There are views to Glashedy Island, a large rock jutting out of the sea where many boats have gone aground over the centuries, and the Isle of Doagh which is joined to the mainland by a causeway road. Beyond the Isle of Doagh there are views of the hill leading up to Malin Head taking in the views from an alternative perspective. Taking an afternoon break in the heart of the beautiful village of Ballyliffin, the group could enjoy the surroundings at an authentic old style converted cottage /barn formerly known as Nancy's. The cosy vintage setting offers an assortment of hand crafted cakes and bakes, a homemade lunch menu featuring their famous Spanish seafood chowder. It opens daily from 10am-5pm. A healthy cycle could be arranged from here as an opportunity to meet owner from “Cycle Inishowen” presented on how to see Inishowen from “your bike” with or without a guide. They cater for all cycling needs, a day, or tour to follow the WAW to Malin Head at your own pace. They offer 3-7 night packages to explore the peninsula. Driving towards Dunaff, the tour approaches the Mamore Gap (Discovery point). This approach on the route does not face the views, however a brief stop at the viewing point allows for the appreciation of the breathtaking scenery of Leenan and Urris. This is a favourite spot for tourists and locals alike to gaze across the broad sweep of the Atlantic Ocean. For the energetic avid explorer it is the starting point of the Urris Lakes Loop and Butler’s Glen Loop Walking Trails. Travelling onwards and upwards is a twisting narrow road over a hilltop. Coming from the opposite direction, the discovery point is located just after the descent offering panoramic views toward the Atlantic and equally exceptional views to the hillside behind. A number of holy relics are to be found including a holy well devoted to Saint Eigne. Heading further south Dunree Head (Discovery Point) is accessible by road over a twisting cliff top route along the side of Urris Hills. The curving approach road offers a variety of great views over Lough Swilly. 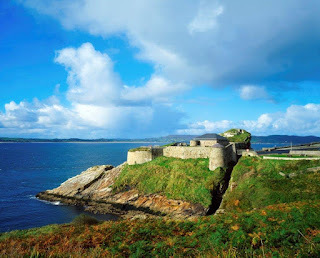 Fort Dunree Military Museum is positioned approximately 10km’s north of Buncrana in County Donegal. 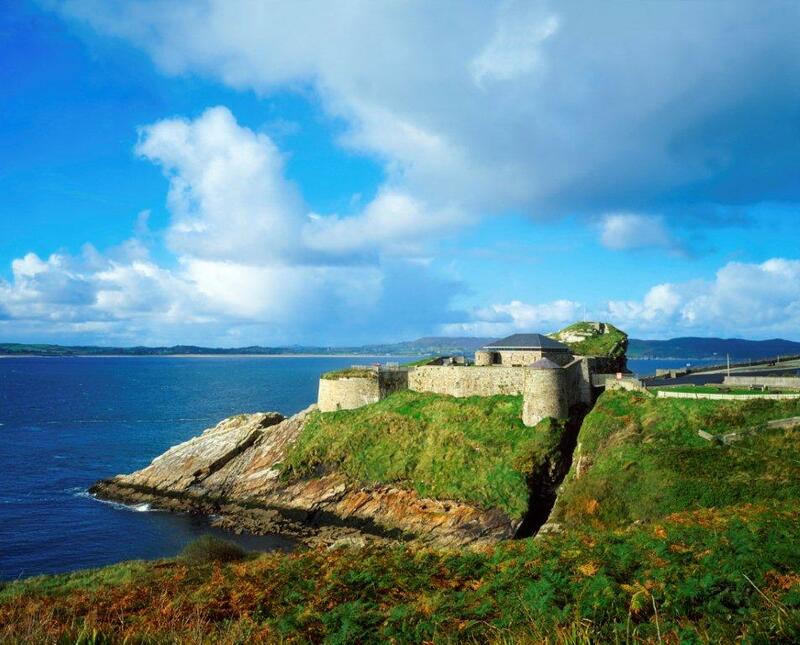 Situated overlooking Lough Swilly on the on the Inishowen Peninsula, Fort Dunree commands spectacular views of the Lough and its shorelines. The museum exhibits audio - visual presentations providing an insight in the long and interesting history of the fort. The museum displays show how life at Fort Dunree was for the soldiers stationed here and the vital role the fort played in securing the coastal defence of the area. This location marks the site of Fort Dunree and Military Museum. It demonstrates the vital role in coastal defence and neutrality protection with a complete display of coastal artillery. Newly developed hill-sidewalks enable visitors to get fantastic views of the Fanad Head area over the Atlantic Ocean. An informative “Talk” from David Magee, Manager was incorporated in the stop. Returning to the Inishowen Gateway Hotel concluded the familiarisation trip around the Inishowen Peninsula. JOB VACANCY: Inishowen Tourism Office are seeking to recruit a Corporate Administrator to join their dynamic, innovative and hardworking team.